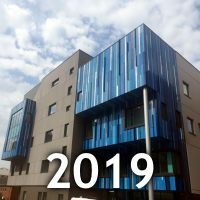 Now that Waterfall House is finished, the lead nurse on the teenage unit, Naomi Ravn, has told us: ‘We love the environment, and it is great that there are such brilliant facilities for all age groups. Medically they have everything they need on the unit; but we have now offered to raise funds for activities and treats that will help the teenage cancer patients feel better. 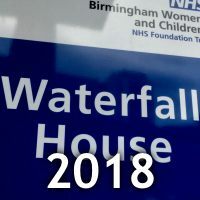 After five more years of fundraising, Birmingham Children’s Hospital has completed its new £38 million, four-storey cancer centre for children of all ages, Waterfall House. Operating theatres, outpatient and inpatient wards, intensive care units, plus haematology and rare diseases clinics are all included in a fabulously light, spacious, high-tech and fun building, on the site where the hospital staff car park used to be. This year’s concert was even more youthful than last, with singers from Michaelchurch Escley Primary School – where Laurie was a pupil – delighting a churchful of listeners with their musical enthusiasm. The Olchon Orchestra performed Haydn’s Toy Symphony with their help, as well as dances by Mozart and Praetorius. 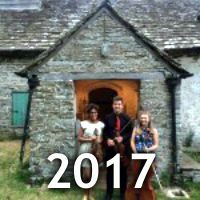 We heard two impressive duets, by father and son Oliver and Jacob Wilson-Dixon, and sisters Lydia and Iona Prosser. Robin Freeland, now studying music in Cardiff, played Poulenc’s Melancholy with enormous feeling. 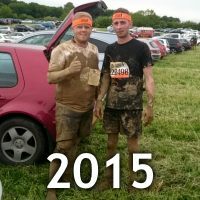 George Wood-Cole (on the left in the photo), a school friend of Laurie’s, took part in a Tough Mudder challenge in May. 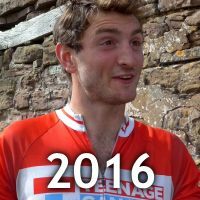 George is a keen sportsman and plays for his local cricket and football teams in Herefordshire. He was in training for the Tough Mudder for several months; and although struggling with knee trouble at the time, he completed the challenge in three hours, raising far more money than he’d expected – over £700. 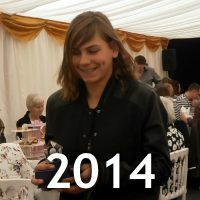 On May 3 Vika was named Young Fundraiser of the Year by Birmingham Children’s Hospital. 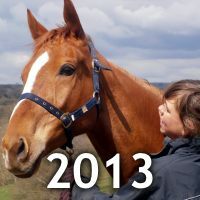 In 2013 Laurie’s sister Vika successfully completed her epic birthday ride across Wales “from the Bay to Hay”, raising £25,000 for the fund, Laurie’s cousin Rachel took part in the Henley Triathlon, and we received several significant donations. 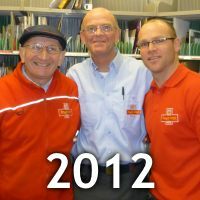 A very busy year! 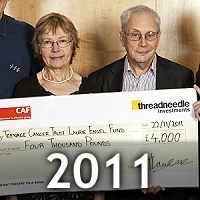 Two of Laurie’s friends ran marathons and other friends took part in fund-raising sporting events. Laurie’s fund was also able to help out with support for young people staying in the unit by funding trips, activities and equipment. It also helped with funding the Newcastle unit. We received a giant cheque, an epic cycle ride was completed by two of Laurie’s friends, there were many other donations – and the Birmingham unit celebrated its first anniversary. 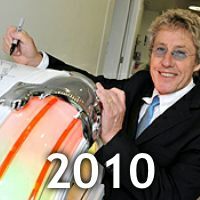 On 14 October 2010 the new Teenage Cancer Trust unit at Birmingham Children’s Hospital was formally opened by Roger Daltrey CBE, patron of the Trust. 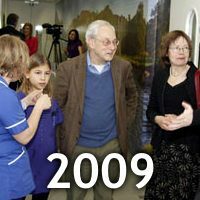 The new unit, which Laurie’s fund has helped to build, has won 2010’s Best Interior Design award given by the architectural association, Building Better Healthcare. Over 200 friends, fund-raisers, donors, staff and patients came to Birmingham on December 18 to admire the finished TCT unit at Birmingham Children’s Hospital. The day was a huge success, and everyone was bowled over by the design, the facilities and the atmosphere. 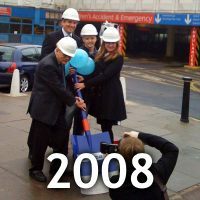 There was a ceremony at the hospital on November 26, marking the official start of the building work. 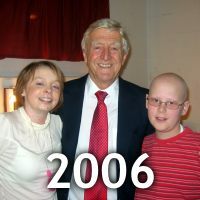 About 60 guests came from across the country, including patients, ex-patients, parents, hospital staff, fund-raisers, donors, Teenage Cancer Trust staff, family and friends. Of course, other friends and family imaginatively continued the work of financing it all. Otto Putland presented us with a cheque for £12,000, raised by swimming clubs around the country who have responded to his Otto’s Challenge. 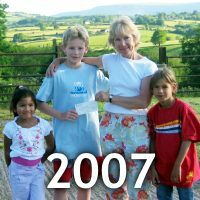 However, this was only one of a huge range of sporting and other endeavours that donated to the Laurie Engel Fund, including a ‘Major’ contribution from the Hay Festival courtesy of Laurie’s school friends. The fund raising is underway with over 30 events! From celebrity performances to local dinner parties, from Greece to Maryland and all around the UK, we have recorded over 30 fund-raising events in this first year! Laurie wanted to make a difference – and so the Laurie Engel Fund was set up to make sure that he would.